Last year, we released our list of the best cities for young families; this year, we refreshed our analysis with the latest and greatest data to help you make the best decision for your homebuyers. This report is specifically tailored for Pearland. Pearland has made a huge jump from last year’s rank of 21st best city, to rank in 2016 as the no. 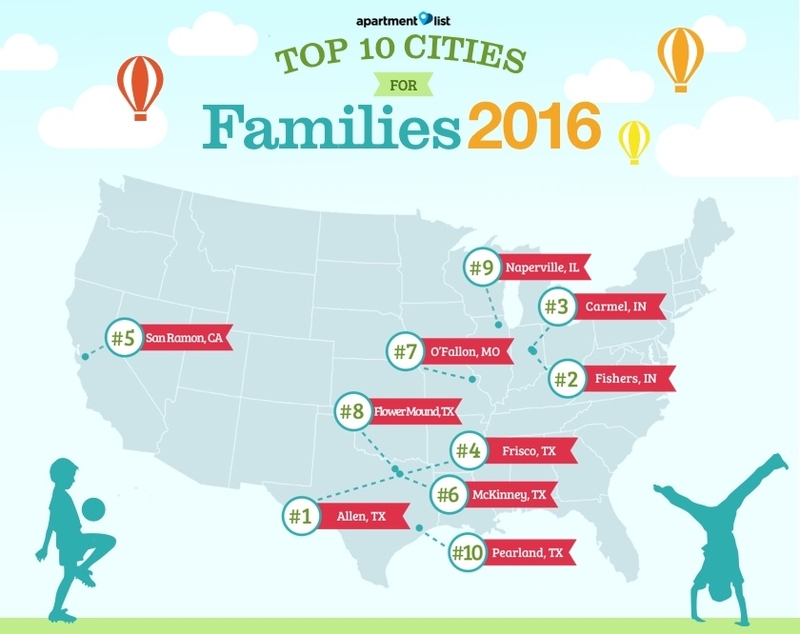 10 best city for families in the U.S. It got an overall score of 90.2, matching that of Naperville, Ill.
Pearland’s strongest marks were in its education score, with a graduation rate of 96 percent. Its second highest score was in housing, where renting a two-bedroom apartment requires 24 percent of the median renter income. This is a 7 percent difference from nearby Houston, where 31 percent of the median renter income is required for renting a two-bedroom.